How did your Gardasil symptoms come about? Lucy: I received the first HPV vaccine in 2014, and soon after developed some minor health niggles; stomach problems, some dizzy spells, and nausea. I then had my appendix removed, and had the 2nd HPV in April 2015. My appendix had actually turned out to be healthy! My symptoms grew, and I was hospitalised a few times with stomach issues. By early 2016 my health deteriorated to the point I was experiencing spine, leg, and nerve pains, headaches, brain fog, fatigue, and dizziness. In February 2016 my legs completely gave way, they went numb, I could not move at all. I was forced to use a wheelchair for the next 6 months. Rita: I have to say that this was a tricky case. I knew from the start this was going to get complex due to the severity of the numbness in the legs. I knew when I saw you Lucy I was determined to get you walking again whatever it was going to take. What happened at the start? How did you make the connection to the HPV vaccine? Diane: Lucy was in so much pain and was struggling to walk. We took action. We got all the medical appointment dates and school attendance to try and find a link, which in fact we did. It was just after the first HPV. We researched and researched. We went to the GP who didn’t know enough about the vaccine and any problems with it. Lucy: When I got ill and didn’t know what was happening. I remember researching every symptom and trying to make links between all the time I had off and all my many problems. When we looked at the dates in the diary all my problems stemmed from my first HPV vaccine from which I had 3 days off school after it. How did you find out about homeopathy HPV vaccine side effects? Diane: As part of our research homeopathy was recommended by several people with chronic illnesses. We chose the Rita due to her experience with vaccine injury support. Lucy: As we started to read stories about HPV vaccine injured girls my parents saw homeopathy was working and straight away looked and phoned up Rita for help. What actually happened after this first appointment is that Lucy got much worse. 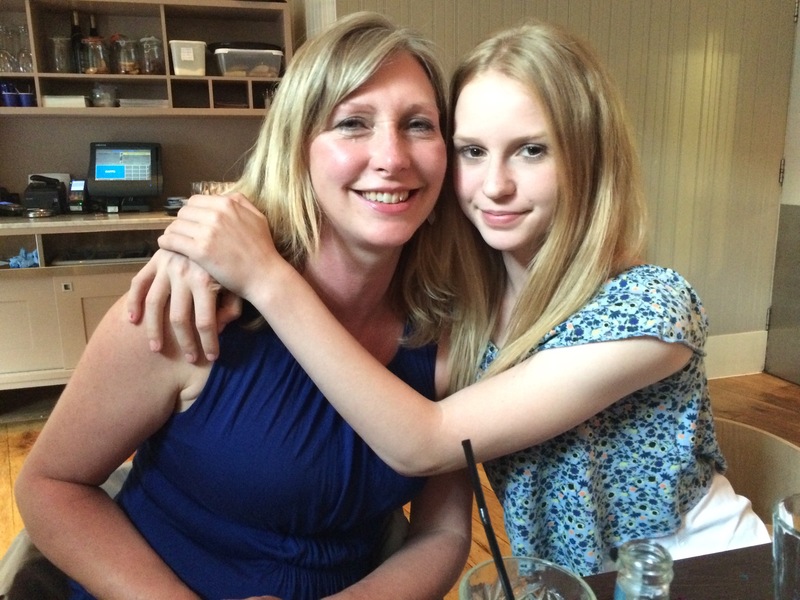 Rita had to redefine the treatment and take very small steps as Lucy was so sick her organs needed a lot of support. She was responding albeit very very slowly. It took 6 weeks before we started to make some real progress. So hang in there! Lucy: I don’t really remember the process much in the beginning because I was so ill but I do remember visiting Rita and her support and help and information set us on the right path. She explained about a detox diet and different vitamins I could try. I also remember nearly falling asleep on her chair, but she didn’t mind, she knew I was ill and just wanted to help. I’m not going to lie, homeopathy medicine didn’t work well immediately and made me have reactions such as headaches! But I’m glad I texted Rita with every problem and she would come straight back with something new to try! I would say to anyone don’t give up on it! You have to be persistent and it will work! Rita: I have to say that this was one of my hardest cases due to the severity of the numbness in the legs. I knew when I saw you Lucy I was determined to get you walking again whatever it was going to take. Also it is fair to show that not all detox cases resolve in a few months. This did take a month to find its feet. This happens in a handful of incidences. I had to prescribe very low potencies for you, lower than ever before. Some cases take dedication and perseverance and together we had both. As long as you can see symptoms improving it’s easier to keep going to the end. Did you just use homeopathy? Diane: We used homeopathy for the whole recovery process with a couple of visits to a kinesiologist, and a nutritional practitioner to help with diet. Lucy also had regular physiotherapy. This worked well all together. Rita: I remember your kinesiologist confirming that we had detoxed the aluminium when she was not told exactly what we were doing. It was nice for you to have confirmation from a different angle. Homeopathy is a great complement to many alternative therapies. Here is Lucy at the hospital. The NHS were not able to offer any medication that worked, only physical therapy which helped. 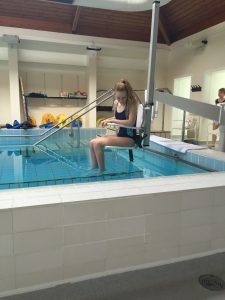 Hydrotherapy helped Lucy’s legs but unfortunately is not available to all sufferers all over the UK. Lucy was able to attend regularly. How did you know the homeopathy was working? Diane: Little improvements crept in day-by-day. Gradually Lucy started to feel well again. After a couple of months the tremors, and headaches had stopped. Over the next few months Rita worked really hard to improve Lucy’s nerves. By the summer she was lifting a foot and wiggling toes. After 6 months she was able to move her legs although the feelings hadn’t completely returned. By September she could walk a few steps and the feelings were gradually returning. She returned to school full-time albeit in a wheelchair. In October Lucy was on crutches. By November Lucy went into school without crutches. Woohoo! By January she returned to dance classes again, although a little wobbly and returned to the gym. She is 99% back to normal! 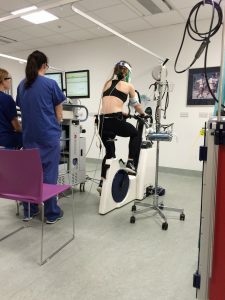 Lucy: It wasn’t until I would have my monthly Skype call that I would realise how much I had improved and how little by little each day/week something was getting better. I am glad I stuck with it because I wouldn’t be where I am now. Even if it was a small thing like one less headache to something big like no tremors , I was improving and it was slow to start but once things start getting better your recovery gets quicker and quicker. Rita: I would never know what you were going to tell me each month. It was nice to have the list of symptoms shrink as we progressed. I was also using different methods, potencies and remedies I had not used before ( as the case was quite difficult) so it was a great experience for me too. How has this vaccine impacted your day-to-day life? 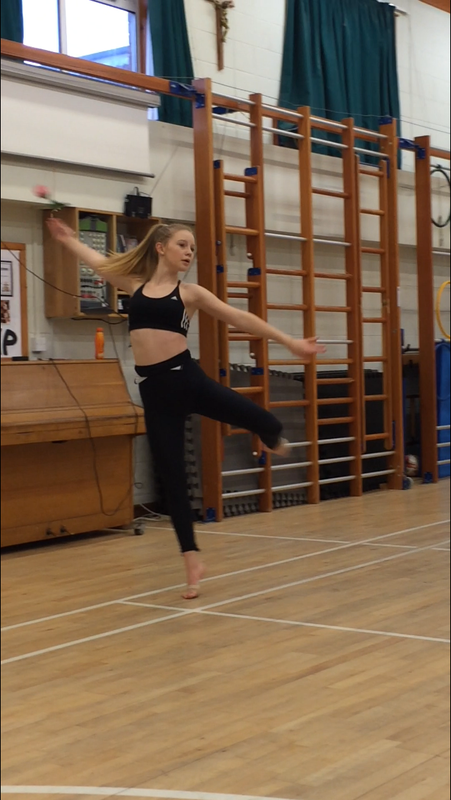 Lucy: I couldn’t go to performing arts school, which is my dream and passion as I missed a year out on training and I am nowhere near strong enough and I am not sure whether I can go back to the amount of training before. I had to start looking for sixth form schools, but due to reducing my GCSE to 5 it has had an impact where I go. I don’t have the grades expected of me because I’ve missed so much. I also missed school for hospital appointments, scans and physio so I still miss lessons and parts of school. I missed a lot of things with friends and couldn’t always go out. I just missed out on a lot of cool fun things! Diane: Yes I would. For us it worked. Rita is thorough, listens attentively and asks all the right questions before sending the next treatment plan. The personal care she took of Lucy’s case is amazing. Also when things took a reaction or turn or a new symptom cropped up Lucy was able to contact Rita directly and ask for advice. Lucy: I would most definitely recommend homeopathy to anyone. It is gentle, safe and can be used alongside other treatments, It either works or it doesn’t – it won’t make anything worse so it’s worth trying. Diane: Rita, we can’t thank you enough. Lucy’s case was difficult and unfolded in many ways. She has her life back now thanks to your patience and unfailing attention. Thank you so much. Rita: We did what the NHS found impossible. There are many factors that helped this case succeed but one of them was Lucy’s character. Her determination, trust, faith and openness to talk to me directly and be completely involved in her recovery process helped me find the right program for her. Each program is individual and Lucy and I worked as a team on this together. It was a great pleasure from beginning to end. Healing is a partnership sometimes. 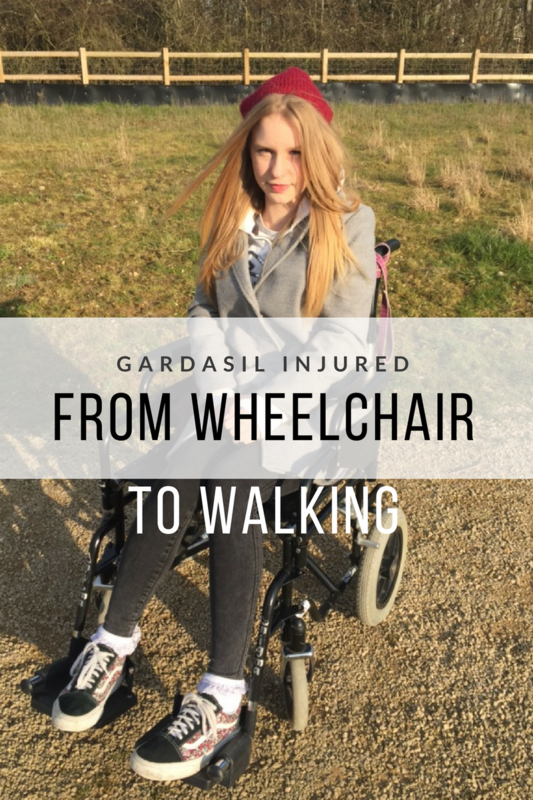 I hope that many more girls suffering from the Gardasil vaccine in wheelchairs recover and get their lives back. Rita: I remember getting a video sent on my phone of Lucy doing some dance moves. I was so elated for her. We really did it and we did this case together. For those interested we detoxed the HPV vaccine, DTAP and Men C boosters she had close to the HPV vaccine, and finally metals which I think caused the numbness. I aim to write this case up for homeopaths. I hope that there are some mums and girls out there reading this post who will get an infusion of hope into them that they can recover if they are in a wheelchair after receiving a vaccine. Rita is one of the world's most experienced homeopaths dealing with Gardasil/HPV vaccine injury. She has dealt with over 100 cases and rising in just over a year. 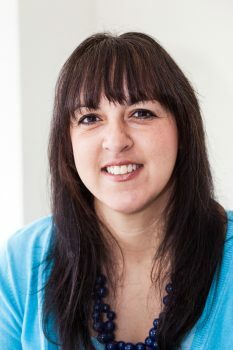 Rita deals with all types of vaccine injury and also specialises in autism cases around the globe. You can find her page on Facebook, join her support groups or sign up for her newsletter. Or why not speak to her face to face using Skype or Facebook messenger to find out if this is for you.